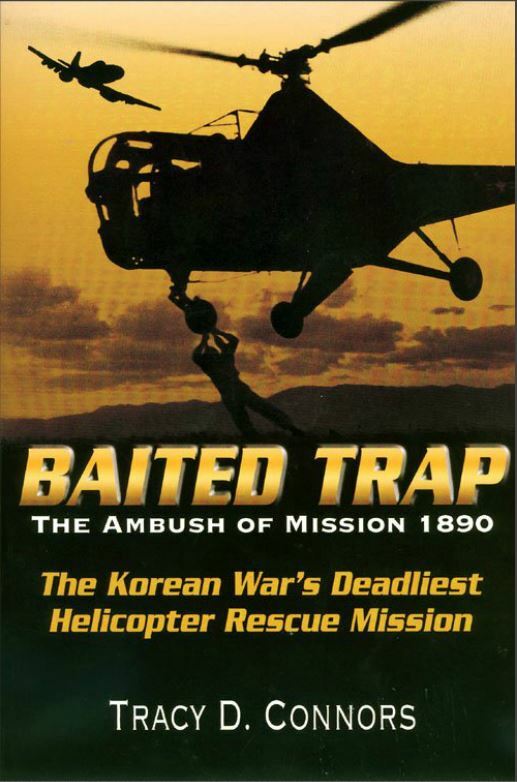 Baited Trap, The Ambush of Mission 1890 is the story of helicopter rescue Mission 1890, one of the most heroic—and costly—air rescues of the Korean War. Never before has a formerly classified combat mission been so carefully dissected and examined from the standpoint of those who flew the mission, starting with their complete life stories and those of the women they loved. 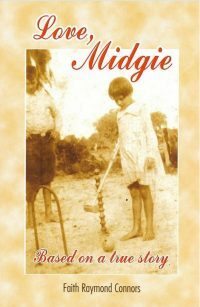 Several hundred photographs from personal scrapbooks and official records, never before published, illustrate the people and their lives with unique imagery. Baited Trap illustrates and shares through the photographs and words of those who lived it the human costs of any military mission that results in death or injury—a cost that the affected families continue to bear to this day. 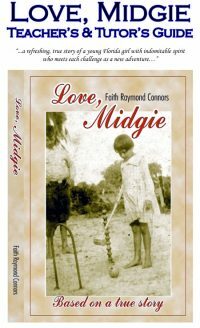 The mission itself is hair-raising, the result devastating, yet from the ashes of the lives given so valiantly comes a compelling love story that offers hope for us all. 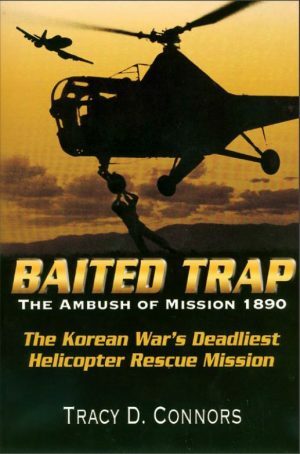 Baited Trap, The Ambush of Mission 1890 tells the story for the first time of perhaps the most dangerous Korean War helicopter rescue mission in compelling detail gleaned from formerly classified official records, first person accounts, and family documents long unknown. On the second anniversary of the start of the Korean War, four U.S. airmen team up to grab a downed Navy pilot off the side of a mountain that was heavily defended by Chinese Communist troops. Under withering ground fire, Captain Wayne Lear made three hovering approaches in the lumbering H-5 “Dragonfly” rescue helicopter to the spot where Ensign Ron Eaton had flashed them with his survival mirror. Each time the helicopter took hits. Both Lear and his medical technician, SSgt. Bobby Holloway, were wounded.Overhead, Captain Elliot Ayer, How Flight Leader, his wingman, 1st Lt. Archie Connors, and other Mustang pilots from the 18th Fighter-Bomber Wing provided covering fire, repeatedly attacking the ground batteries.Finally, after the third attempt under heavy fire, with Eaton on board, Lear nursed the badly damaged helicopter down the valley towards the safety of UN lines that were almost within sight. Seconds later, a lucky hit in the rotor changed the rescue into one of the most deadly missions of the Korean War.The families of the missing airmen entered the surreal, wrenching, bureaucratic world of the Missing In Action. A final section relates the poignant stories of what the families of Mission 1890 went through after it was quiet on the mountain. How they coped with their losses will inspire others. 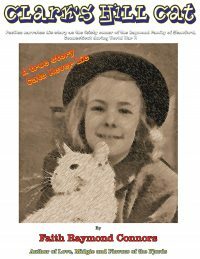 Pages: 393 (Softbound), ePUB pages vary depending on reading device. 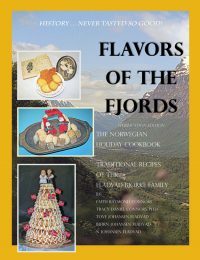 Extensively illustrated with official and family album photographs. What Happened: On the second anniversary of the start of the Korean War, four U.S. airmen team up to grab a downed Navy pilot off the side of a mountain that was heavily defended by Chinese Communist troops. Under withering ground fire, Captain Wayne Lear made three hovering approaches in the lumbering H-5 “Dragonfly” rescue helicopter to the spot where Ensign Ron Eaton had flashed them with his survival mirror. Each time the helicopter took hits. Both Lear and his medical technician, SSgt. Bobby Holloway, were wounded. Overhead, Captain Elliot Ayer, How Flight Leader, his wingman, 1st Lt. Archie Connors, and other Mustang pilots from the 18th Fighter-Bomber Wing provided covering fire, repeatedly attacking the ground batteries.Finally, after the third attempt under heavy fire, with Eaton on board, Lear nursed the badly damaged helicopter down the valley towards the safety of UN lines that were almost within sight. After receiving their “I regret to inform you…” telegrams from the Air Force and Navy, the families of the missing airmen entered the surreal, wrenching, bureaucratic world of the Missing In Action. A final section relates the poignant stories of what the families of Mission 1890 went through after it was quiet on the mountain. How they coped with their losses will inspire others.